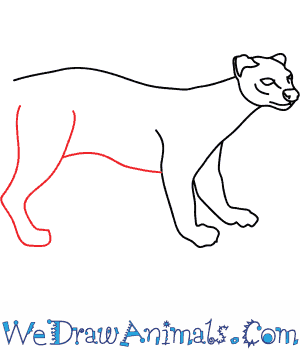 In this quick tutorial you'll learn how to draw a Fossa in 8 easy steps - great for kids and novice artists. 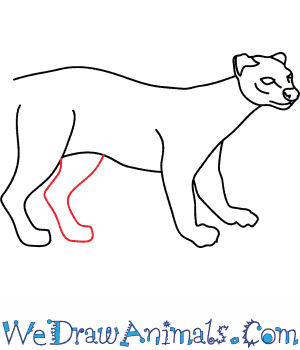 At the bottom you can read some interesting facts about the Fossa. 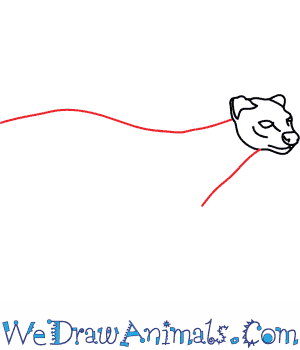 Step 1: The first step in drawing your Fossa is to draw the head. 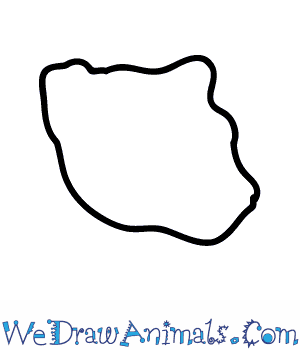 Draw a bumpy circle similar to the one shown above. Step 2: Now you will need to add the facial features. To start add a small oval for the eye and one for the nose. Draw a curved line for the cheekbone as well as the mouth. For the ears, draw a triangle with a smaller one inside. 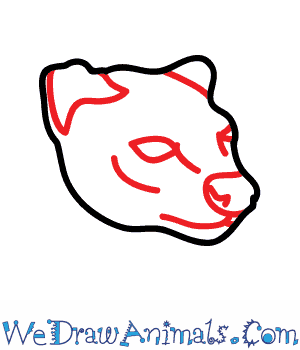 Step 3: Next you will need to draw the body by drawing a curved line coming out of the top of the head and a straight line coming downward from the bottom of the head. Step 4: The next step is to draw the front leg. Draw two parallel lines and connect them at the bottom with a semi circle for the foot. Step 5: Now draw the other leg the same as the first. 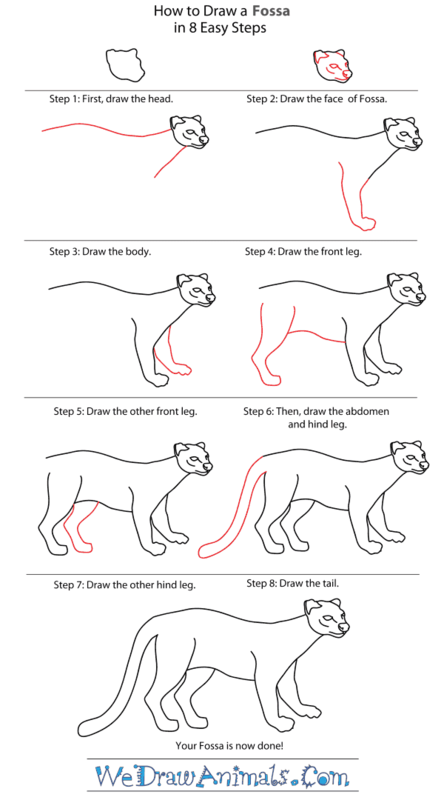 Step 6: Next you will want to draw the abdomen and hind leg. For the abdomen draw a curved line coming out from the front leg. 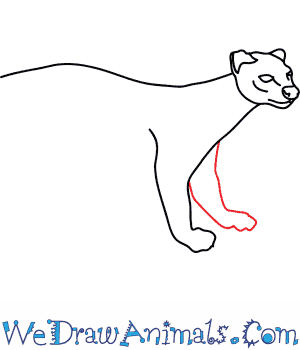 For the hind leg draw two curved lines for the upper part of the leg. For the lower part of the leg draw two straight lines and connect them together with a foot. Step 7: For the other hind leg, draw one just like the first coming out from the bottom of the abdomen. Step 8: The final step is to add the tail. Draw two parallel lines that curve downward and connect at a point. You now have completed your Fossa. 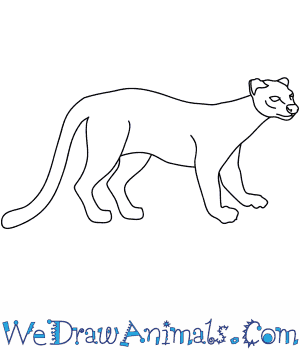 The Fossa is a member of the mammal family and the scientific term for them is Cryptoprocta ferox. This is a carnivorous animal that has traits like a cat, those of a mongoose, and that of a hyena, which lives on Madagascar. It is the largest mammalian carnivore on the island. It has retractable claws and flexible ankles, allowing them to run up and down trees. The animal was first documented in 1833. This creature arrived to their current habitat about 20 million years ago. They have more than 50 percent of their diet from lemurs and endemic primates. These live to be 20 years old. The animal is about 2.5 feet long. This species can weigh more than 19 pounds. They have about 6 babies for each pregnancy. These can reach up to 44 pounds. 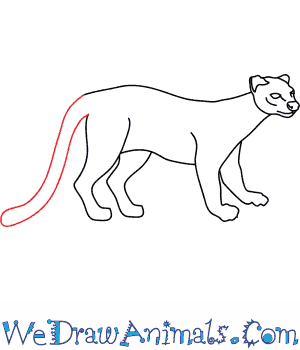 The body is like a cougar, while the head is like a mongoose. Eating rodents, lizards, and birds are among infrequent methods of gaining nutrition. They only mate in trees, on horizontal branches. Typically, this animal doesn’t sleep in the same place twice. Since there are so few of these creatures, they are vulnerable to extinction.